The young Canadian Bass-Baritone Joel Allison has been praised for his “ beautiful, rich, ringing tone….exceptionally promising.” (Musical Toronto). He has performed throughout Canada with leading ensembles including the National Arts Centre Orchestra, Saskatoon Opera, National Academy Orchestra, Theatre of Early Music, Talisker Players and Tafelmusik Baroque Orchestra and Chamber Choir. Highlighting Joel’s 2016⁄17 season are his debuts with Saskatoon Symphony (Bach’s Cantata BWV 140 and Larysa Kuzmenko’s Golden Harvest), Tafelmusik Baroque Orchestra and Chamber Choir (Mozart’s Mass in C Minor), and Chorus Niagara (Handel’s Messiah). 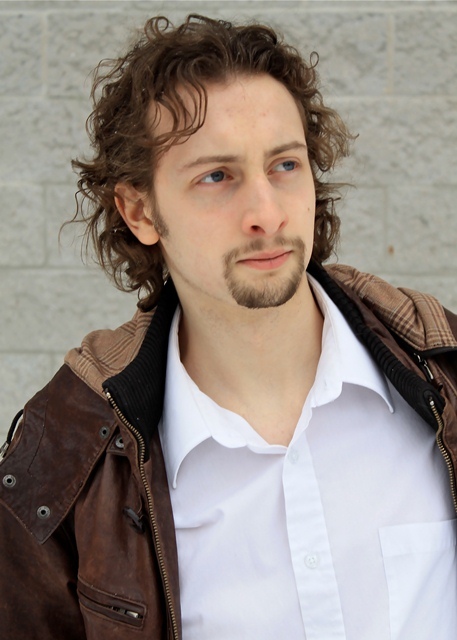 Joel also appears in the two main stage productions with the University of Toronto Opera Program as a part of his Opera Master’s degree: “Jupiter” in Orpheus in the Underworld by Offenbach and “Imeneo” in Imeneo by Handel. In recital, Joel can be heard this season in Vancouver with a program for Douglas Collage and in a program called “Land of the Silver Birch” with the Talisker Players in Toronto. Joel’s operatic roles include “Basilio” in Il Barbiere di Siviglia with Saskatoon Opera; “Prince Gremin” in Eugene Onegin with Opera Muskoka; “Antonio” in Le Nozze di Figaro with Boris Brott Music Festival; “Dancairo” in Carmen with Carmen on Tap; “Don Quixote” in Telemann’s Don Quixote with Seventeen Voyces and Ottawa Baroque Consort; “Mr. Gobineau” in The Medium with UofT Opera; “Aeneas” in Dido and Aeneas with OttawaU Opera; “Leporello” in Don Giovanni with OttawaU Opera; and “Guglielmo” in Cosi fan Tutte with OttawaU Opera. He was praised for his performance in Don Quixote as having “a beautiful instrument for this repertoire…precise in its intonation and articulation, serene and aristocratic” (Ottawa Citizen). Joel is also a dedicated recital artist. Canadian composer Andrew Ager compiled a song cycle “Idle Thoughts” for Joel which was premiered in Ottawa at Tabaret Hall in 2015. Joel has performed with many different collaborators including the Talisker Players, Musicians in Ordinary, and guitarist Francois Lacelle, with whom he performed the complete “Third and Last Booke of Songs or Aires” by John Dowland. In 2015, Joel won “Best Male Singer” and the “Audience Choice Award” at the Brian Law Opera Competition in Ottawa. Joel holds a BMus. in vocal performance from the University of Ottawa and is currently pursuing a Master’s in Opera Performance at the University of Toronto under the tutelage of Daniel Taylor. He is a recipient of the 2016⁄17 Richard Bradshaw Fellowship in Opera at the University of Toronto. Joel has also won the 2016-17 Jim and Charlotte Norcop prize in Art Song at the University of Toronto. In 2017, Joel makes his debut with the McGill Chamber Orchestra in Handel’s Messiah. An ardent soloist since childhood, Joel’s solo debut was at the age of twelve years old, as the treble soloist in Howard Shore’s Lord of the Rings Symphony with the National Arts Center Orchestra under the conductor Alexander Mickelthwate.